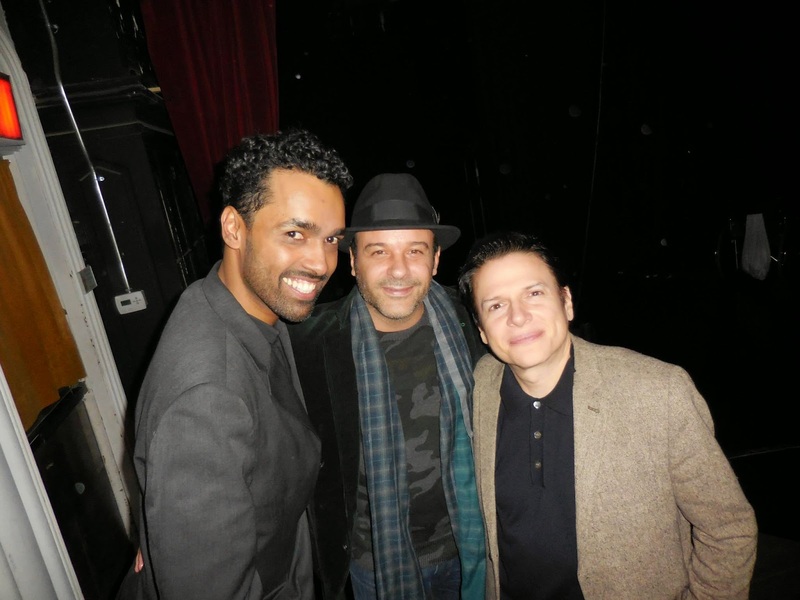 On Monday, December 1, 2014, the Hispanic Organization of Latin Actors (HOLA) held its 2014 HOLAfestival at Teatro LATEA in the Clemente Soto Vélez Cultural and Educational Center (home to HOLA). It was the fourth annual festival since it was re-established in 2011 (an earlier incarnation, called the HOLA Festival, took place circa 1988-1990). The HOLAfestival celebrates HOLA members who are also writers. In previous years, HOLA highlighted the work of playwrights (through staged play readings which often included HOLA members performing in them) and poetry. 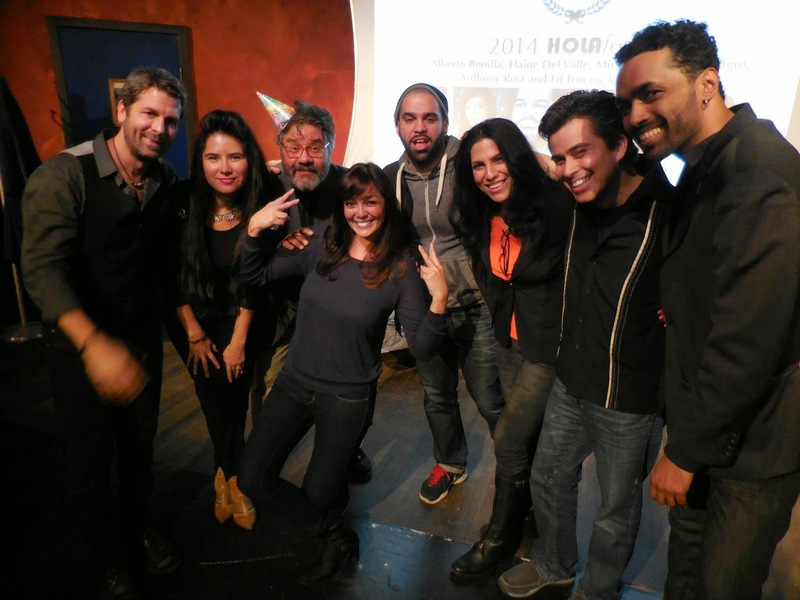 This year's edition of the 2014 HOLAfestival celebrated HOLA members who wrote webseries and short films (oftentimes directing, producing and/or starring in them). 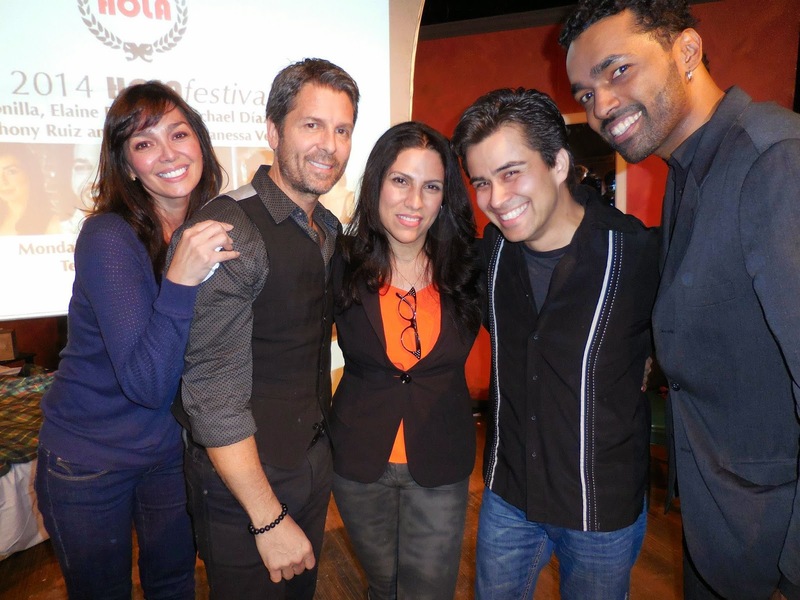 The HOLA members involved were Alberto Bonilla (webseries pilot "Josh and Jesús"); Elaine Del Valle (webseries "Reasons Y I'm Single"); Michael Díaz, also known as Juan Bago (webseries "Studio Heads"); Anthony Ruiz and Ed Trucco (short film Truth Will Out); and Vanessa Verduga (webseries "Justice Woman"). The rainy evening didn't prevent a good crowd from attending. 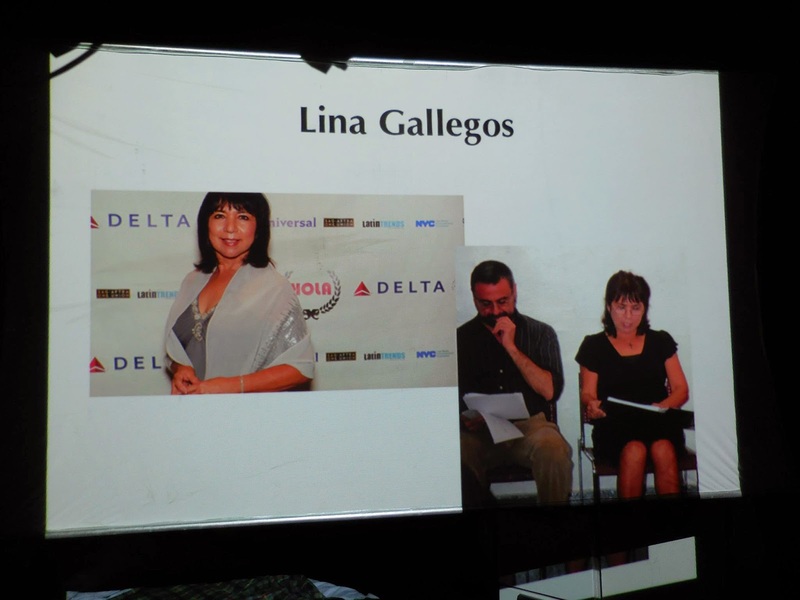 However, the evening started out on a somber note as less than 24 hours prior to the HOLAfestival, it was revealed that HOLA member, the actress and writer Lina Gallegos had passed away. The 2014 HOLAfestival was dedicated in her honor. HOLA members (and Friends of HOLA) who were featured in the works screened include Alberto Bonilla, Elaine Del Valle, Michael Díaz (Juan Bago), Mateo Gómez, Susanna Guzmán, A.B. 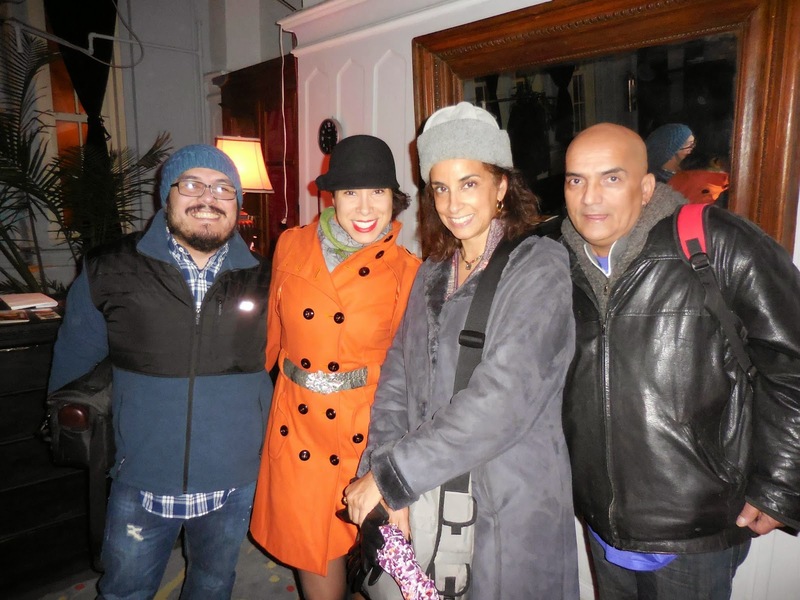 Lugo, Patricia Olvera, Luis Antonio Ramos, Anthony Ruiz, Ed Trucco, and Vanessa Verduga. Also notable in the screened pieces were performances by Laura Gómez, Lin-Manuel Miranda, Joshua Warr, Gina Tuttle, and 2014 HOLA Awards recipient Armando Riesco. The master of ceremonies, HOLA Associate Director A.B. Lugo, kept the proceedings moving and the bar at Teatro LATEA kept the libations flowing. After the screenings, there was a raffle and afterward music was played which led to dancing and even more fun. In addition, HOLA Executive Director Manny Alfaro was surprised with a homemade cake, as the HOLAfestival fell on his birthday. Also surprised was Lugo, who received a gift from Prime Latino Media's own Louis Perego Moreno (also affectionately known as Tío Louie) as a token of appreciation for the work the two have done together in uniting Latino actors and multimedia-makers. HOLA would like to thank Nelson Landrieu, Mateo Gómez, Alex Moore and Anthony Ruiz of Teatro LATEA; Ed Trucco (for helping out on the technical side of things); Louis Perego Moreno (Tío Louie); Basil Rojas; J. Edgar Mozoub of the ARTE NY blog (for covering the event); all of the filmmakers; and all those in attendance for making this such a successful event.